Is your plan up to date? Do you have one? Please note the information provided on this page is not for the purpose of giving advice and the Brown Hill Community FireAware Network makes no claim as to the accuracy of the content provided. The BHCFAN accepts no liability to any person for the information provided on this page. The information is offered in good faith for those wishing to take responsibility for their own informed decisions. Assoc Professor Kevin Tolhurst provides a few key actions for residents to assist them in lowering the bushfire risk to themselves and their neighbours. Get to know your neighbours: share your bushfire plans and find ways to work together. Even 3 or 4 households could do much to lower the fire risk to themselves and their neighbours. Stay informed: Work out alternative ways to keep informed of possible fire threats to the area and how to share that information amongst your neighbours. Watch the weather! Give your house the best chance of surviving by preparing your property well before the fire season irrespective if you plan to stay and defend or leave. Have a bushfire plan: know what you are going to do pre-season; on high fire risk days and days leading up to them; decide if you are going to leave, or stay and defend, and then have a plan to know what to do if circumstances change; know the triggers for when decisions will be made; review your plan regularly. REMEMBER: If a plan is not written down and practiced – it is NOT a plan! CFA Local: For a faster, easier way to find local information on total fire ban days and fire danger ratings. A following light-hearted video on bushfire planning with a serious message has been praised by emergency services representatives. The video “Do you have a fire plan,” was produced by the Warrandyte Community Association and the Warrandyte Theatre Company, as part of a ‘Toolkit’ of six activities designed to raise awareness and understanding of the problem. The above video was made specifically for the Warrandyte community but it can equally apply to all Bushfire Prone communities. CFA Prepare and maintain your property: Everyone in Victoria who lives near dense forest, bush, grassland or the coast needs to prepare their property for bushfire. Access CFA tips and advice to prepare your property. Have you prepared for bushfire season? This short video will ensure you know what to do to keep your home and family safe during the summer months. This video is brought to you by the Australian Insurance Association. What are “Bushfire Prone Areas”? What are “BAL ratings”? LINK IS NOT WORKING AT THE MOMENT – As soon as it is back the quizz will be reinstated. If you would prefer to be involved in a comprehensive bushfire safety program then the CFA’s Fireguard Program might be what you are looking for. The program contains around eight hours of material (including group discussion and hands on activities) that can be covered in around four to six sessions. Meetings are held in people’s homes, at a time that’s most convenient for the group — usually on weekends or in the evening. Contact your CFA Region headquarters and ask for the Community Education Coordinator. Alternatively, text your name and location to 0429 423 692. A local coordinator will be in touch within a few days. Do you live with children? Do you live with children and pets? Other State fire services also provide a wide range of material to help their residents prepare themselves and their property for the bushfire season. All are saying much the same thing but present it in a variety of ways. You may find some of their material more appropriate for you. Remember you will need to make adjustments for different State services and locations. Access ACT Bushfire Survival Plan here: During a bush fire, firefighters will be working to stop the fire, but the size and intensity of a fire could mean that a fire truck may not be available to defend your home. It is your responsibility to reduce the risk to your family and your home and take actions to survive a bush fire. Fact sheets: Find here a wide variety of fact sheets, including fact sheets on bush fire safety, land management, communities at risk, tourism and recreation, home fire safety and farm fire safety. A variety of the fact sheets are available in languages other than English on the translated fact sheets page. An excellent starting point is the “CFS SA Bushfire Survival Plan Checklist” which you can download from the link. Bushfire belief busters: How much do you know about bushfires? Over the years, the CFS has heard many misconceptions about bushfires. These myths can be very worrying, as they put people in danger and further fuel the level of complacency. This page is all about busting those false beliefs and sorting out the facts from the fiction to help everyone stay safe. Access SA CFS “Your Guide to Bushfire Safety” here: Bushfires can start suddenly and without warning. They destroy properties and lives every summer. It’s not just the big fires like Black Saturday, Ash Wednesday and Wangary. 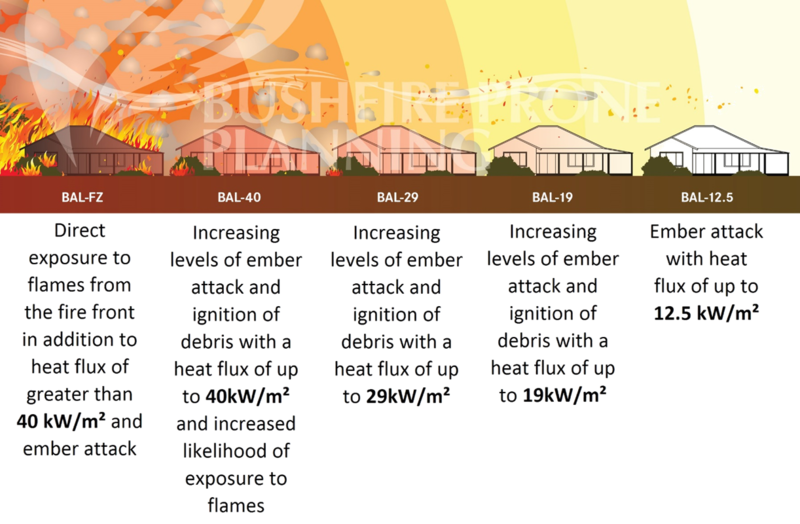 Every year there are thousands of incidents and homes lost to bushfire. There is a real chance that you will experience a dangerous bushfire at some time in your life. While fires are inevitable, they are also survivable. You can increase the chances of survival for yourself, your loved ones, your home or business by taking simple steps to plan and prepare. The better prepared you are, the better your chances of survival. Access their Bushfire Survival Planning web page here: An excellent resource to assist in decision-making to either to leave early or stay and defend. Access publications to download here. Find on the list their “After the Fire” booklet as well. CFA Pets and bushfires – Whether pets are at home with you, relocated during high fire-risk days or brought along on holidays, you need to plan and prepare for their safety as well as your family’s and your own. Seeking a more comprehensive guide? “The Complete Bushfire Safety Book” (2000) and the ready reference “Essential Bushfire Safety Tips” (CSIRO 2012) written by Joan Webster, OAM, covers every aspect of protecting your family, your home, yourself and your animals from bushfire. “The Complete Bushfire Safety Book” has been acclaimed by bushfire authorities through Australia and many overseas as the most comprehensive and authoritative available. Its ground-breaking analysis of the stay-go dilemma following the catastrophic 1983 Ash Wednesday fires is still the most detailed.”Essential Bushfire Safety Tip”s (CSIRO 2012) has been endorsed by the CFA as: ‘This is truly an outstanding achievement and a book that certainly could help save lives within the community.’ This book gives the benefits and dangers of every choice of action in every circumstance and deals with the pitfalls of the drastic post 2009 changes to official safety policy. They can be previewed and/or obtained online.